Five American men all packed into the World Cup points (top 30) in Saturday’s snowy Xfinity Birds of Prey World Cup super-G race won by Austria’s Max Franz, and EagleVail’s Mikaela Shiffrin finished just off the podium in a women’s World Cup downhill at Lake Louise, Canada. Max Franz of Austria took the victory ahead of Switzerland’s Mauro Caviezel in second and Norway’s Aksel Lund Svindal, Italy’s Dominik Paris and Norway’s Aleksander Aamodt Kilde all tied for third. For the second-straight day, weather forced race organizers to postpone the start time and to lower the start, which provided a short, fast course which saw five racers who started outside the top 30 finish in the top 15. However, the most impressive performance of the day belonged to Nyman, who started with bib 64 and finished 20th. 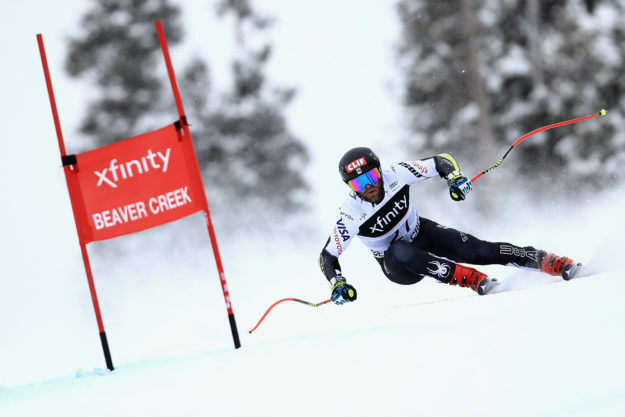 Up next, the men’s will race giant slalom Sunday at Beaver Creek. The first run, set for 9:45 a.m. — free and open to the public — will be broadcast on the Olympic Channel and stream on NBC Sports Gold. The second run, scheduled for 2:45 p.m., will be broadcast live on NBC Sports Network and NBC Sports Gold. Go to the Vail Valley Foundation website for more information.